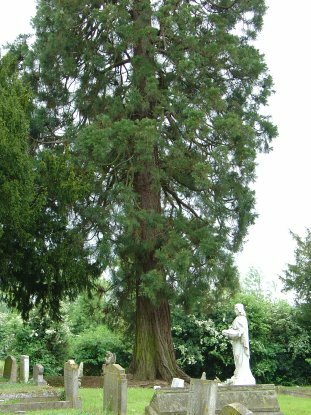 There are two Giant Redwoods in Bures cemetery. One has been hit by lightning some time ago. 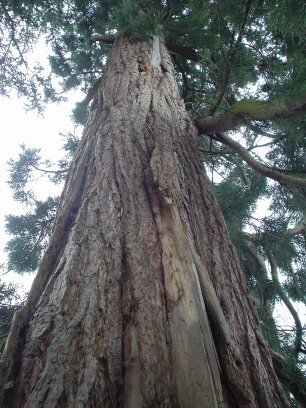 Even the wood has split, but its wounds are healing and it looks as though a side branch has taken over as the leader at the top. 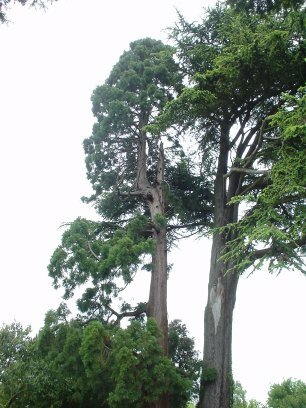 The large cedar standing beside it was scarred too, perhaps by a falling branch. 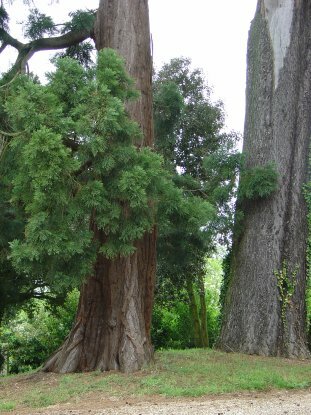 Tree No. 1 - lightning strike Girth was measured at 1.5m from ground.